المنافسة قوية فى سوق العمل حيث يبحث اصحاب العمل عن اكثر الموظفين مهارة. تقدم شركة Autodesk المواد التعليمية و الشهادات اللازمة للطلاب و المحترفين لتساعدهم على النجاح. هؤلاء الذين لديهم مهارات متقدمة فى برامج Autodesk و لديهم القدرة على حل التصميمات المعقدة يجب ان لا تفوتهم الفرصة للحصول على شهادة Autodesk Certified Professional. هذه الشهادة تعد الاقوى فى سوق العمل كاثبات لمهاراتك فى استخدام البرامج و التصاميم و حل اعقد المشكلات. 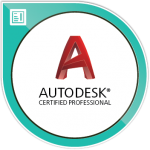 The Autodesk AutoCAD Certified Professional Exam assesses professional users’ knowledge of the tools, features, and common tasks of AutoCAD. Earners of this badge have demonstrated knowledge of dimensioning, basic drawing skills, using hatching and gradients, and more. The AutoCAD Civil 3D Certified Professional Exam at assesses professional users’ knowledge of the tools, features, and common tasks of AutoCAD Civil 3D. Earners of this badge have demonstrated knowledge of annotating and editing surfaces, designing a parcel layout, managing and sharing data, and more. 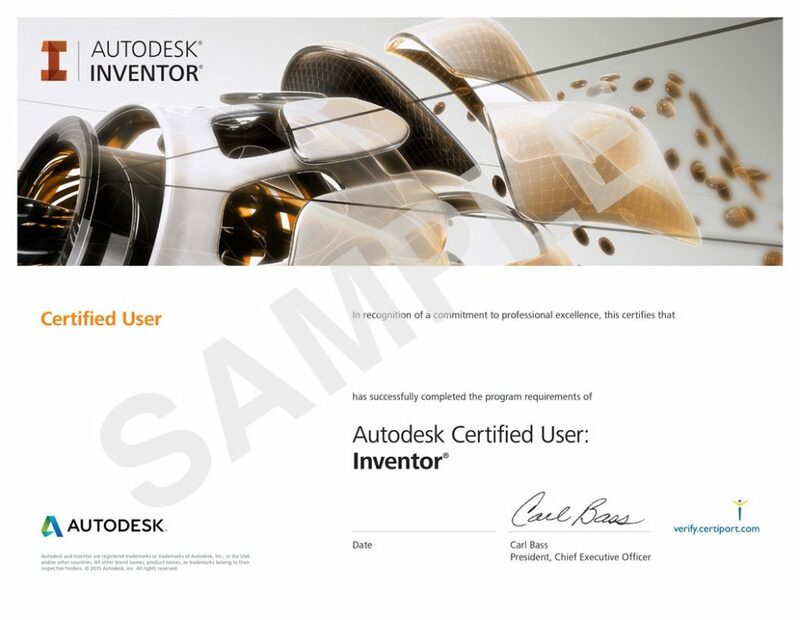 The Autodesk Inventor Certified Professional Exam assesses professional users’ knowledge of the tools, features, and common tasks of Inventor. Earners of this designation have demonstrated knowledge of advanced modeling, assembly modeling, creating a weldment, and more. The Maya Certified Professional exam assesses professional users’ knowledge of the tools, features,and common tasks of Maya. Earners of this designation have demonstrated knowledge of sceneassembly and pipeline integration, rendering, animation, and more. 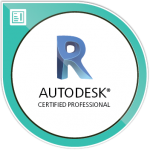 The Revit Architecture Certified Professional exam assesses professional users’ knowledge of the tools, features, and common tasks of Revit Architecture. 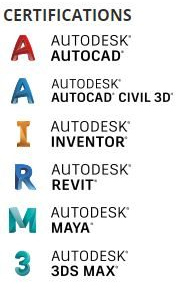 Earners of this designation have demonstrated advanced knowledge of modeling, documentation, elements, and more using Revit Architecture. 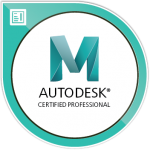 The Revit MEP Electrical and Mechanical Certified Professional exams are aimed at assessing the professional users’ knowledge of the tools, features, and common tasks of Autodesk Revit Electrical and Mechanical. Earners of these designations have demonstrated advanced knowledge of electrical, mechanical, and plumbing modeling. The Revit Structure Certified Professional exam assess professional users’ knowledge of the tools, features, and common tasks of Revit Structure. Earners of this badge have demonstrated knowledge of advanced collaboration, documentation, modeling, and more. 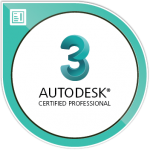 The 3DS Max Certified Professional exam is aimed at assessing professional users’ knowledge of the tools, features, and common tasks of 3ds Max. Earners of this designation have demonstrated knowledge of rendering, object management, modeling, and more.